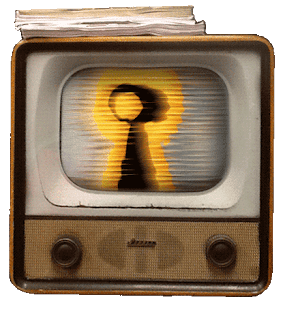 Hailed as the best escape game in London, an accolade not only bestowed by the folks at reputable publication Time Out, but by it’s many visitors who've ranked it the No1 escape in London on TripAdvisor, we visited Escape In Time excited for our very own hour at the Secret Studio. The fun began immediately upon its booking, with the email we received being far more personable than the generic confirmations we’ve come to expect. It provided us with a set of cryptic instructions in order to find and access the venue - a nice touch that set the tone early on and further amped our excitement to play. Upon successfully locating and accessing the building (we won’t give too much away here) we were greeted by the cheery Olivia who escorted us to the spacious waiting area. After exchanging pleasantries Olivia seamlessly adapted into games master mode and did a great job in retelling the rooms back-story. So much so we’re still unsure whenever the team are genuinely involved with B-movie film productions! This was the most imaginative, animated and believable recount of a room’s narrative that we’ve heard to date. 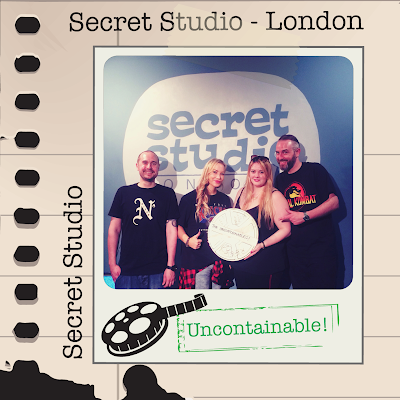 Locked inside the headquarters of Secret Studio Films, we had an hour to uncover the mystery of the weird goings on and why the last person who entered the studios vanished into thin air. We liked the fact that despite its horror theme, the plot was far more detailed than the generic locked-in horror escapes we’ve previously played. The production values here were evidently high on first impressions - with the schlock movie production office believably lifelike, further affirmed with the inclusion of aged appropriate props and decor. What could easily be interpreted as elaborate out-of-bounds set dressing often impressively formed part of our game play. Ordinarily we find games with a distinct lack of traditional lock-and-key puzzles a little discouraging, but the technological elements alongside the less traditional puzzles to complete here was so impressively executed that the latter's minimal appearance was never once missed. As we progressed through the game the set got better and better, as did the puzzles themselves which were predominately linear, mild in difficulty and advanced at an agreeable pace. There were plenty of props to investigate leaving all members of the team busy, with the inclusion of a few standout puzzles that required full team participation. Including some original riddles that we’d not experienced elsewhere. With regards to it’s horror theming, the game does a great job at reminding you that this is a horror escape during moments when you’re perhaps distracted or had simply forgotten its underlying theme. Secret Studio timely executes its creepy moments with ultimate precision - ensuring it obtains your best-horrified reactions faultlessly. Olivia did a great job as games master, attentively assisting us when needed with a very clever and more advanced clue delivery system than we had experienced before. Although once we found our feet the ingenious puzzles and our pace throughout the game flowed efficiently enough to progress and escape without the need for much guided support. An array of original, quirky puzzles alongside the inclusion of dry-ice, a suitable soundtrack and some highly produced visual elements, not to forget the moody scenery that surrounds it all makes for a blockbuster of an escape game. So if you are currently casting for the role of spectacular escape games in London to play, we thoroughly recommend that the enchanting theatrics of Escape In Time's Secret Studio are not left on the cutting room floor.